The President of the United States, Andrew Shepherd, is coming to the close of his first few years in office. Running the country has been hard for him. What has been more hard is the fact that his wife recently died, and he now has to take care of his daughter on his own. The President then meets Sydney Wade. Sydney is a political activist, and she has mixed emotions about a lot of things. After a few road blocks, Andrew and Sydney go out on a date. This is not just any date, but this is a date where Andrew is meeting the President of France. Things turn ugly when Andrew's opponent, Bob Rumson, throws a lot of garbage about him to the media. Bob's main focus is how quickly Andrew can land in the hands of another woman. The President of the United States has a lot of decisions to make, and he better make them fast. 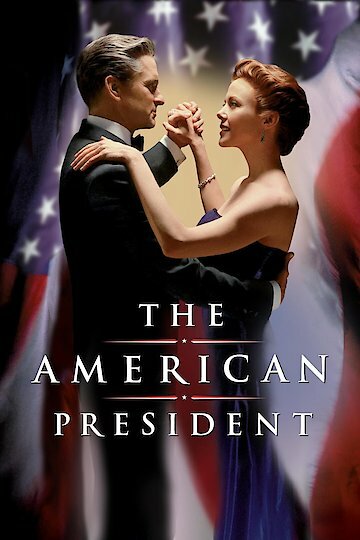 The American President is currently available to watch and stream, download, buy on demand at Hulu, HBO NOW, Amazon, Vudu, Google Play, FandangoNow, iTunes, YouTube VOD online.